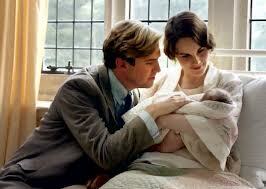 Downton fans everywhere experienced a sad Sunday night recently when Matthew Crawley, a fictional character firmly established in our affections, died an untimely death just minutes after holding his newborn son. Aside from his endearing honesty and noble character, one of the main reasons we all loved Matthew so much was his ability to soften and win the heart of the beautiful but fickle Mary Crawley. The last episode, which gave little to no warning of the coming doom, highlighted a certain dynamic in their relationship that makes his death all the more tragic. Matthew made Mary a better person by loving her, marrying her, and often reminding her who she was in his eyes, and how her current behavior did not fit that description. He believed in the best version of her. I hope I’m allowed to be your Mary Crawley for all of eternity and not Edith’s version, or not anyone else’s for that matter. In marriage, friendship, or other close relationships, we have the power not only to seethe best version of our loved one, but also in doing so, to help that person be a better version of themselves. Jesus gave new names to certain individuals who were close to him. Not just new names, but new names heavy with significance and story. Do we remind our spouse or our closest friends who they are to us? Do we help them see the best version of themselves and in doing so, give them the boost they need to live up to their potential? What if someone did that for us? Matthew’s parting gift to Mary, besides a precious baby boy, may well be a clearer vision of the best version of herself.